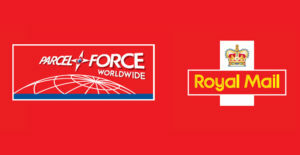 ParcelForce Worldwide – In operation since 1997 Parcel Force is part of the Royal Mail Group and partners with leading Transportation and Logistics industry companies including EMS, EPG and GLS for European network customers. Parcel Force delivers small parcels up to 30 kg’s throughout the UK same day, next day and express courier. Find out more about Delivery Services in the UK. Specialised services are available and include large items and pallets for account holders. Send parcels Worldwide – Next day and 3 day International delivery service. Tracking – Track and Trace your Parcel Force and Royal Mail items here. Find your closest office or depot including Royal Mail Locations where you can pick up your parcel if you prefer.